Welcome to The University of Chicago Section of Nephrology website. Our Section is comprised of sixteen faculty members, two Ph.D. scientists, and eight postdoctoral fellows in training. U.S News and World Report has consistently recognized our section as one of the top nephrology programs in the country. Our clinical practice is exceptional, varied and includes large programs in hereditary kidney diseases, nephrolithiasis, pharmacogenetics, end-stage renal disease (ESRD), home dialysis, kidney transplantation, acute kidney injury, onco-nephrology, renal ultrasonography, vascular access, glomerular disorders, health outcomes research, and the microbiome. Our faculty oversee five hemodialysis centers in the Hyde Park vicinity, as well as an active home dialysis program. Our renal transplant program is the largest solid organ transplant program at University of Chicago with a variety of options for kidney transplantation. The Section carries out a range of translational and clinical research in the areas of hereditary kidney diseases, nephrolithiasis, race specific differences in cation handling by the kidney, acute kidney injury, nutrition, and ESRD related issues including dialysis access and health disparities. Our basic science research portfolio is equally diverse, including investigations into acute kidney injury, APOL1 related kidney disorders, epithelial oxalate transport and the microbiome, renal tubular transport defects and cellular studies of amino acid metabolism. In the past year, our research faculty have received $2.0 million in federal support for research. We have trained a talented group of academic and private nephrologists, and presently we offer multiple training options for fellows interested in both community and academic careers. The pages herein will provide greater detail on each of these topics. The Section of Nephrology at The University of Chicago is comprised of 16 faculty members, two Ph.D. scientists, eight postdoctoral fellows as well as a staff of over 20 research, administrative and clinical personnel that are devoted to a mission of excellence in patient care, education and research. The nephrology program is ranked by US News and World Reports at an outstanding renal program in the United States. There are many research opportunities in the Section of Nephrology, and include avenues of investigation in both the clinical and basic sciences. Clinical research programs include NIH-funded studies in autosomal dominant polycystic kidney disease (ADPKD), nephrolithiasis, acute kidney injury, hypertension, vitamin D metabolism, metabolic bone disease, renal imaging and vascular access, as well as industry and foundation-sponsored work in end stage renal disease (ESRD), anemia management in chronic kidney disease, transplantation and the microbiome. Translational and basic science research are focused on the areas of acute kidney injury, epithelial oxalate transport, renal epithelial cell biology and amino acid metabolism, proteomics in nephrolithiasis and urinary exosomal studies of tubular cation transport. Our research activities are supported by the National Institutes of Health but also include funding agencies such as the American Heart Association, the Michael Reese Foundation, the Bucksbaum Institute, the PKD Foundation and the Oxalsosis Foundation and the Tuberous Sclerosis Alliance. The multi-faceted academic program offered by the Section of Nephrology includes education for high school students, undergraduates, college graduates, medical students, interns, residents, and fellows and post-doctoral trainees. Continuing medical education for physicians is a core component of our educational services offered. Education within the Section of Nephrology consists of instruction at all levels of clinical care including ambulatory and inpatient services in consult, ESRD, ICU and general medicine, our outpatient dialysis units, and laboratories with active student participation. The Nephrology Fellowship Training Program is a two year training program and is directed by Dr. Anna Zisman and co-directed by Dr. Ben Ko. Each year four clinical fellows are accepted into the training program and are exposed to a wide range of patients from both University of Chicago and Northshore hospital representing diverse patient populations throughout the city of Chicago. The Section has a large ESRD program, providing care to over 600 patients including patients being treated in home dialysis and nocturnal in-center dialysis programs. Five of the section’s faculty are outpatient dialysis unit directors at large hemodialysis units in the Hyde Park vicinity – Drs. Mary Hammes, Bharathi Reddy, Rita McGill and Nicole Stankus direct our inpatient hemodialysis centers and Dr. Orly Kohn runs our program in chronic ambulatory peritoneal (CAPD) and home hemodialysis. The University of Chicago has a successful renal transplant program, performing approximately 75 living-related and cadaveric kidney and kidney-pancreas transplants every year. The Section of Nephrology maintains an inpatient transplant service and is responsible for the outpatient care for transplant patients in the first year after transplantation with continued contact with the community nephrologist and the patient annually or as needed after that time. The Section is one of very few in the country that has an AST-certified fellowship training program in Transplant Nephrology. The transplant nephrologists are Drs. Michelle Josephson (Program Director), Pratik Shah and Patrick Cunningham. The University of Chicago sports a large comprehensive multidisciplinary referral ambulatory chronic kidney disease clinic with support and care provided by dieticians (Melanie Betz), social workers (Akila King), geneticists, and imaging specialists (Dr. Pat Cunningham). This multidisciplinary clinic provides complete care to patients with chronic kidney disease. This one stop shop allows patients more partnering and independence in managing their chronic kidney disease. The University of Chicago Medicine provides a high level of inpatient nephrologic care in the medical wards and in the intensive care units. As such, we see a considerable number of patients with acute kidney injury receiving both intermittent and continuous renal replacement therapy in a variety of settings including those in our trauma units as well as in our echmo/LVAD patient populations. The Section has both NIH and industry-sponsored trials in the pharmacological management of acute kidney injury. With recent NIH funding from NIDDK, Dr. Jay Koyner is now evaluating real time patient data that preemptively predicts the development of acute kidney injury on the medical wards. The University of Chicago is now the home of an ADPKD center of excellence where more than 700 families and 2,100 affected individuals are seen. Through the efforts of Drs. Chapman, Reddy and Chen and our dietician Melanie Betz, the PKD Center at the University has a multidisciplinary program in which both clinical care and research being carried out in polycystic kidney disease, polycystic liver disease, and basic research in the metabolomic reprogramming of cystic epithelia. The University of Chicago has a world-renowned program in the research and clinical management of nephrolithiasis. 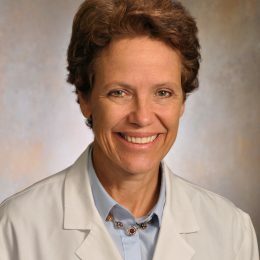 This program is headed by Dr. Elaine Worcester, and includes Drs. Fred Coe, Anna Zisman, Ben Ko and Kristen Bergsland. Over 4,000 patients with kidney stones are followed in this program, which allows a wealth of research opportunities, as well as state-of-the-art medical and surgical management of any type of kidney stone.